One of the drives for agencies to move to a mobile, cloud environment is to attract millennials, who are used to having their data on demand. Benjamin Bergersen, chief information officer of the U.S. Trade and Development Agency, said that his agency already needs a mobile environment in order to run programs in multiple time zones and continents. The agency is moving its headquarters and considering making the push to be entirely cloud based. Alen Kirkorian, division chief of Innovative Strategy and Security at the Office of the Chief Architect at the Department of State, is in a similar situation in that the agency operates in about 275 locations around the world. In the past, the State Department had a closed-loop system. When CIO Frontis Wiggins took over, he began pushing for a hybrid cloud system that the next generation of employees would expect. John Hale, chief of Application Services at the Defense Information Systems Agency, is working with commercial cloud providers to create Cloud Access Points (CAPs) to protect department of Defense networks from the rest of the public cloud and allow the applications to meet DoD security requirements. MilCloud 2.0, which was recently released, is a hyperconverged on-premise cloud system that will enable about 70 percent of cost savings for DoD. 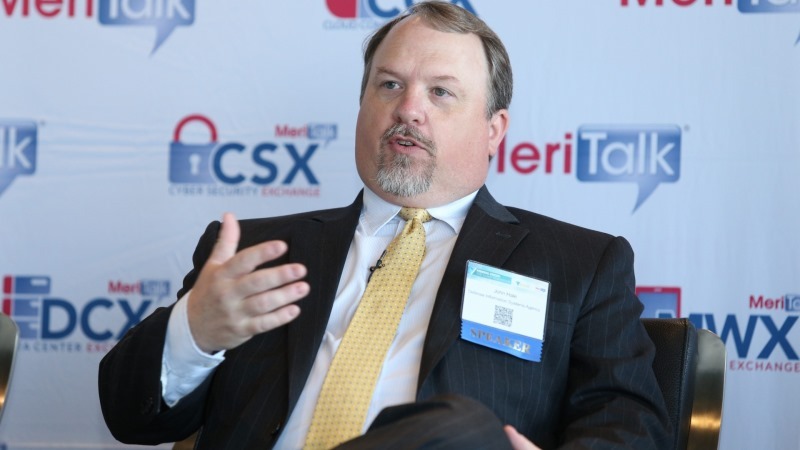 “The direction that we’re getting from the senior members of the department is ‘move everything to the cloud now,’ ” Hale said at the Federal Focus: The Cloud Generation event presented by Government Acquisitions Inc. and produced by MeriTalk on July 12. Hale said that his son, a teenager, will enter the workforce expecting his data to be readily available wherever he goes. Hale is preparing for a workforce with that mind-set at DISA. “When those millennials enter our workforce, they’re going to go somewhere else to get their data,” Hale said. When agencies decide to move to a cloud solution, there are many vendors to choose from. The public and private sectors are working together to make sense of the different options. “We absolutely focus on the mission. What is it that makes the agency want to move to the cloud?” said Prem Jadhwani, chief technology officer at Government Acquisitions Inc.
Jadhwani said that the government should develop clear cloud standards and best practices to provide guidance for agencies that want to move to the cloud. Although the government is seeing fewer cyberattacks on public cloud than on data centers, agency security teams are still cautious about moving sensitive data to cloud services. Some agencies choose to keep that data in on-premise data centers.